"School district administrators and teachers who plan professional development experiences are often not aware of the scientific evidence base on how students learn to read. Schools tend to implement popular, heavily advertised approaches and materials that they assume are grounded in the evidence base. Sadly, the profit-driven commercial entities that dominate the educational market place are not aligned with the science of how students best learn to read." It is our hope that DDCA and TRL can work together to change that! April 12, 2019 – DDCA issued a press release today announcing that we have joined forces as an Alliance Partner with The Reading League (TRL), a non-profit organization. As an Alliance Partner, DDCA will promote and encourage the sharing of evidence-based literacy practices and will feature many of the free resources the experts at TRL are making available to educators and parents. 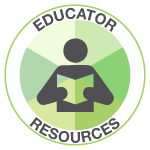 Please take the time to watch some of the impressive, free educator-focused webinars on TRL’s YouTube Channel and share with the educator community. Other helpful resources can be found on TRL’s Knowledge Base section of their website.